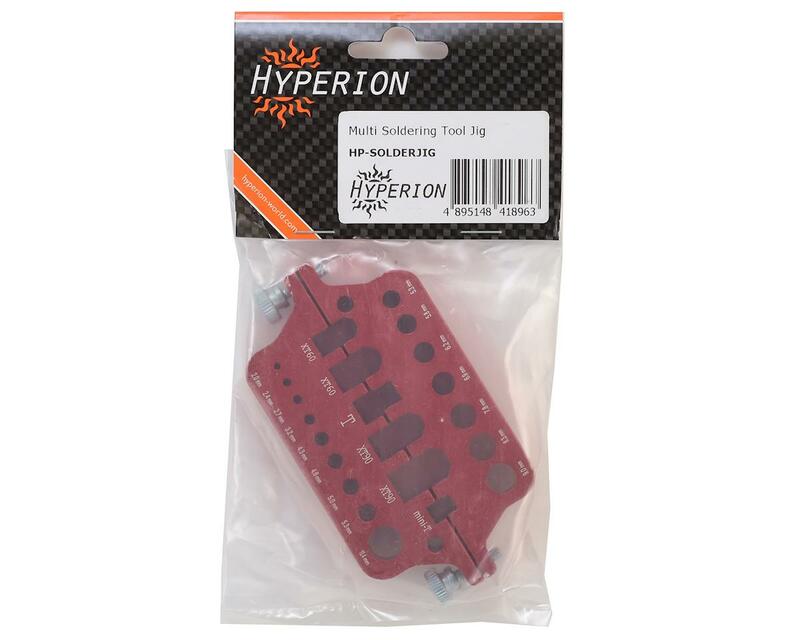 This Hyperion CNC Aluminum Multi Use Soldering Jig is great for aiding in soldering various types of connectors such as bullets, T-Style, & XT Connectors. 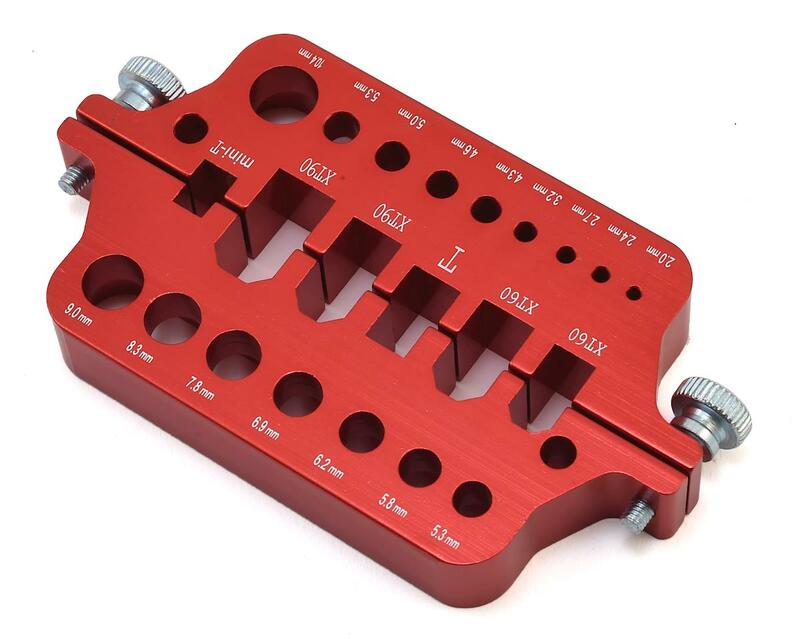 The extra weight thanks to being manufactured from aluminum provides stability during your soldering process, ensuring the solder job is perfect and eliminating cold solder joints because your connector moved as the solder was cooling. The jig features two thumb screws which can be clamped tightly together and provide a stand in some fashion to provide an easier time soldering up your next connector!